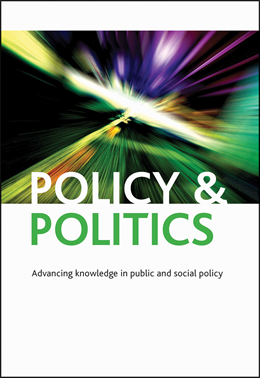 In our Policy & Politics article published in a special issue focused on superdiversity, our analysis of a case study based on South Tyrol confirms that it is not possible to speak of a fixed and monolithic view about migration taken by old minorities. Just as there are differences between and within nation-states (between ‘migrant-friendly’ and ‘migrant-hostile’ countries and between national parties promoting inclusive policies and those sustaining restrictive measures), old minorities are differentiated between and within themselves. Nor is it possible to analyse the issue as a two-actor game between old and new minorities: the game also invokes relations between old minorities and the central state, especially with regard to issues of political competence on migration matters; and in addition it also interacts with the central state’s approach to migration. Understanding how old minorities deal with the arrival of new migrant communities offers important insights for building a genuinely inclusive society respectful of diversity, where cultural differences and people’s cultural background are valorised and not seen as challenging social stability. The ultimate aim in contemporary societies – whether inhabited or not by old and new minorities and where superdiversity is the norm rather than the exception – is to create a pluralist and tolerant society in which different communities interact with each other in a spirit of equality and openness. The process, however, is onerous for all parties involved. New minorities and migrants must learn to negotiate, often in an unfamiliar or even hostile environment, where minority status makes them vulnerable to marginalisation and segregation. Old minorities, having negotiated protection of their cultural and linguistic characteristics with the central state and the majority, must now cope with enhanced diversity in their schools, workplaces, housing, public spaces and neighbourhoods, displaying tolerance and broad-mindedness. This is not easy to achieve and has its own problems: some groups may not be open and experimental and others may jealously guard their inherited identities. In the end, sincere willingness for continuous interaction, mutual adjustment and accommodation on all sides lies at the heart of any successful model. If you enjoyed this blog post, you may be interested in reading Mainstreaming in response to superdiversity? The governance of migration-related diversity in France, the UK and the Netherlands by Ilona van Breugel and Peter Scholten.